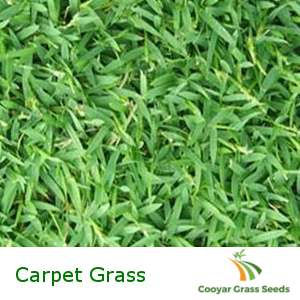 Carpet grass is a perennial creeping grass which can perform well in a variety of soil conditions. The plant has the ability to thrive in low fertile and acidic soils and requires little or no maintenance. As such, common areas of use are tropical, sub-tropical and regions with warmer temperatures. This means the plant can grow in most regions of Australia. Package Contents: 100% Carpet Grass. Establishment: Conditions permitting, 16 – 23 days. Sowing Rate: 2kg per 100 sq meters. Unfortunately we can’t ship to WA.